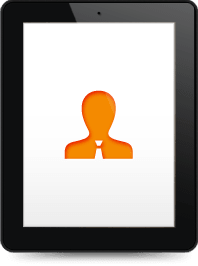 The alaTest EXPERT review solution provides delivery of thousands of expert reviews matched to your product catalog. The detailed opinions from industry experts, give your customers the information they need to make their purchasing decision. At-a-glance review content at point-of-purchase increases sales conversion, order size and repeat purchase. 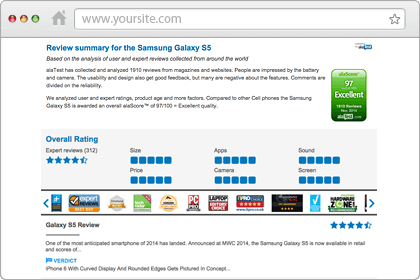 Advanced review analysis technology visualizes the world's opinion about a product and how it compares to others. Works equally well as a stand-alone solution or integrated with any user review collection solution. Reliable review content from over 12 million reviews, 2500+ renowned sources and in 19 languages. Features the innovative alaScore™ algorithm which analyzes global expert and user opinion on product quality. Cutting-edge language technology presents a rich at-a-glance review summary in the local language.